The Power of instant messaging can not just be limited for any reason, the excitement it gives and the ease of use it creates in getting you inform for less is simply unforgettable. 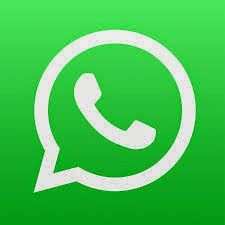 Whatsapp is one great instant messaging app, owned by Facebook but as usual can only be operated as a single account on a single phone or laptop. I have seen quite a huge number of apps that promise more but disappoints when it comes to allowing users to send, reply or chat with friends and family via two accounts on same phone but not until i discovered Pararell space via an advertisement on facebook. As usual, i had to read the review and later went ahead to download and install the 2mb sized app on my mobile device via the Google Playstore. Pararell space was actually one of those credible andriod apps that fulfils its promises, when it comes to dual accounting. Parallel Space is an application that allows you to manage two different user accounts for any app installed on your Android device. So beside the fact that you can operate it with other apps, Whatsapp was simply one of the messaging platform i had wanted a dual account for badly and this actually became a reality via PS. One of the things this app does is that it creates a virtual space that is completely independent and separate on your device that allows you to run other apps inside. That way, you can use the same application twice on the same device. One runs on your device, and the other runs on Parallel Space. I promise not to bore you with lengthy gist as this is not one of those tutorial that we normally expect to take too long. You can start by Downloading the App via Google playstore HERE or Search "Pararell Space"without the quote in your Playstore app search bar. 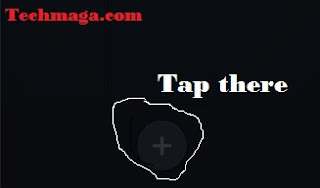 Once found, download and install on your mobile phone. To launch you Whatsapp from your second account, simply launch Pararell space from your device and tap on the Whatsapp icon to display your contacts. Note that you should have completed the registration procedure for your second Whatsapp account before using it for normal chats. N/B: This procedure can also be repeated for other apps following the same procedure you followed to add Whatsapp on your device. Let me hear you out. You got anything to say, leave the comment in the comment box below. Well I have this amazing option by default in my Xiaomi mobile which is used to create dual app and use 2 whatsapp in same mobile.